May 1st thru 5th, we have Golden Week Holiday. Please contact us ASAP, if you want to discuss until then. 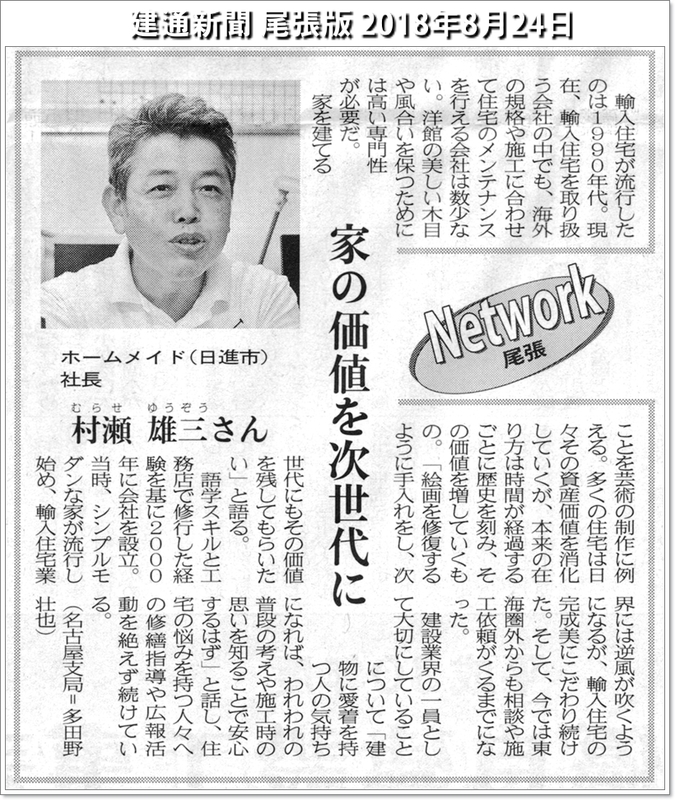 "The interview to Yuzo Murase" was posted on the Kentsuu Shinbun. Barrel Sauna is introduced in Magazine "OCEANS" (August, 2017). We plan free invitation tour to Canada. Feel genuine affluent in Canada! HOME MADE is located in Nisshin-city on the outskirts of Nagoya, and is here to help you create your “Dream Home” away from your country!! True Brick Cladding, Drywall Interior and The Beautiful Open Design of the western style home have become our trademark. Our house must become a Historic Landmark in the distant future. We are definitely different from the other house builder in Japan.